With the very first announcement declaring the coming Auction of BMW i8 Concours delegance Edition 2014 came in July 2014. When people got the first glimpse of this new member in BMW family with entire detailing, every one stood surprised. The first thing to catch your attention will be the raw technology behind designing. Model comes with high performance hybrid engine, futuristic looks and unmatched luxury inside. 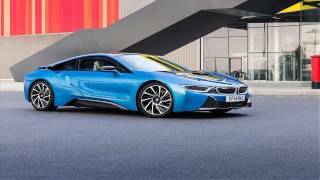 Let us have a closer look at the BMW i8 Concours dElegance Edition 2014. Interior of BMW i8 Concours d’Elegance Edition 2014 are luxurious beyond expectation from model in this range and it gets more adorable with the newly released Dalbergia Brown Leather upholstery, which is dyed from the plant extracts and thus apart from looks and comfort it adds to BMW i8’s eco-friendly theme. Interior gets blend of blue, especially in the cabin over instrument panel lighting, center of steering wheel, door panels and other technological instruments. Inside BMW i8 Concours d’Elegance Edition 2014 there is enough space offering you comfortable sitting. To mark the uniqueness of model front seat headrests gets blue colored BMW i8 lettering. 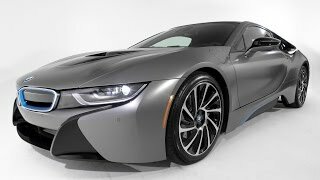 Exterior of BMW i8 Concours d’Elegance Edition 2014 is sporty, futuristic and luxurious with its technology and features. Adore with fully adaptive headlights that feature slim look beside the ‘spec-like’ unique grille. The lip spoiler has enough space for fresh air to move inside and keep the engine cool. Besides its all innovative detailing there is one thing more that makes it really special and that the Pebble Beach’ unveil. Pebble Beach is known to feature cars that are limited edition, highly special and gets sale of kind, to understand better try to remember the glorious Cadillac Elmiraj. 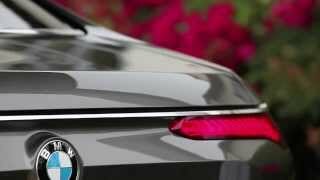 In the entire exterior will bring some new color trim options and advanced features from BMW to make BMW i8 Concours d’Elegance Edition 2014 a milestone for the entire world. BMW i8 Concours d’Elegance Edition 2014 is powered by 1.5 Liter 3-cylinder gasoline engine and an electric motor. Both these units combined together deliver a total output of 357 hp and 570 nm torque and is capable of reaching 60mph from standstill in just 4.2 seconds. 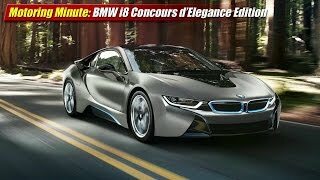 Another important feature of BMW i8 Concours d’Elegance Edition 2014 in this segment is that it can travel 22 miles alone on its electric motor.